Instaflex Bone Support is a dietary supplement that the manufacturer advertises as providing better joint health. Upon first hearing the name of this product, I thought that it would offer instant pain relief as well as increased flexibility. However, the maker of the product claims that Instaflex Bone Support works to support bone building, strengthens bones and improves bone density. The supplement is made up of 6 active ingredients that are said to have been tested for maximum effectiveness. Could this dietary supplement really provide extra bone support for those who need it? One health supplement for better joint health is Instaflex. The name makes it sound as if it could provide instant pain relief and better flexibility. However, Instaflex is very expensive, and you may would you like to research it to determine if you still believe it is worth the price. How Quickly Does Instaflex Work? What Active Ingredients Are Found in Instaflex Bone Support? The manufacturer of Instaflex states that this dietary supplement has been scientifically formulated to be used daily in order to help individuals live happy, healthy and active lifestyles. With only 6 ingredients making up the contents of Instaflex Bone Support, I took the time to research each of the active ingredients to determine whether or not it could possibly provide the results that are advertised on the packaging label. Calcium is a vitamin known to be an extremely important part of a bone-healthy lifestyle. Reports and studies show that it is recommended for all individuals to consume 600 to 1,000 milligrams of calcium a day. This helps to keep bones strong, can reduce the risk of fractures while aging and may even help to lower risks of developing certain types of cancers and diseases. In order to absorb calcium, bodies must have enough vitamin D. Vitamin D helps calcium to absorb into the bones properly. Those who do not get enough vitamin D may suffer from brittle bones, more commonly known as osteoporosis. Studies have shown that chronic pain and muscle aches may occur from not having enough vitamin D in your diet. Vitamin D deficiency can also lead to a rare disease known as rickets, which causes weakened bones. Ipriflavone is a synthetic isoflavone derivative advertised as a nutritional supplement. Preliminary studies suggested that ipriflavone may be able to limit bone loss in women who are postmenopausal. However, newer and larger studies, which lasted for a span of 3 years, concluded that there was no difference in bone loss or bone metabolism of women who took ipriflavone and those who took the placebo. Horsetail is a natural plant used in making medicine. While it is commonly used for fluid retention, it is also used in treating joint diseases, weak bones and osteoarthritis. Limited research suggests that horsetail may also have anti-inflammatory effects. Glucosamine sulphate is commonly used to relieve pain and slow down the breakage of cartilage caused by osteoarthritis. This joint disease causes inflammation within the joints and can weaken bones, causing them to be stiffer and to potentially break easier as the cartilage wears away. Most research suggests that glucosamine reduces pain of osteoarthritis in the knee although it does not work for everyone who chooses to take it. Evidence that has been acquired over the last 30 years suggests that silicon is beneficial to bone and connective tissue health. However, the exact biological roles that silicon has in bone health are unknown. How To Use Instaflex In The Right Way? The FAQ section is not useful. How Do You Take Instaflex Bone Support? 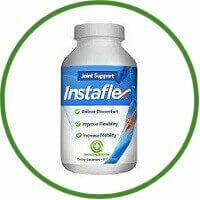 As a dietary supplement, 3 Instaflex Bone Support capsules should be taken daily with a glass of water. In addition, light exercise and a healthy diet are recommended by the manufacturer in order to achieve the best results in bone health. One customer states that Instaflex Bone Support is an unbelievable product. “I am a runner and was having some sore joints. I noticed an ad for Instaflex and checked it out. Is Instaflex Bone Support Right for Me? While the product is marketed as a high-quality solution for bone support, expectations of the results that it is said to provide should remain realistic. Because many of the ingredients are backed by research and may be beneficial for those suffering from bone problems, I would say that this supplement is worth trying. However, some of the same results may be achieved by simply eating a healthy diet and by remaining active. I would say that this supplement can provide you with extra support, but it should not be relied on solely. It does appear that Instaflex has all the correct elements to help relieve a certain amount of joint pain, but there is nothing about it that makes it unique from most other manufacturers, or to justify the higher cost. 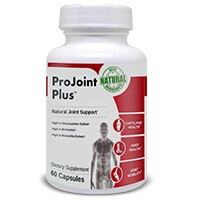 If the joint discomfort is only mild and doesn’t require a prescription medication, you will find superior manufacturers accessible from retail pharmacies which will also most likely price a lot less. Instaflex Reviews – Is It Worth Trying Instaflex Joint Support?